The Colibri X-ray Fast Shutter is a millisecond shutter dedicated to MX crystallography beamlines. It achieves a fast rising time of 1ms and presents a robust and slim housing design. The Colibri technology uses a magnetic guidance for the rising process: the moving part is in levitation inside a magnetic field, avoiding mechanical friction. 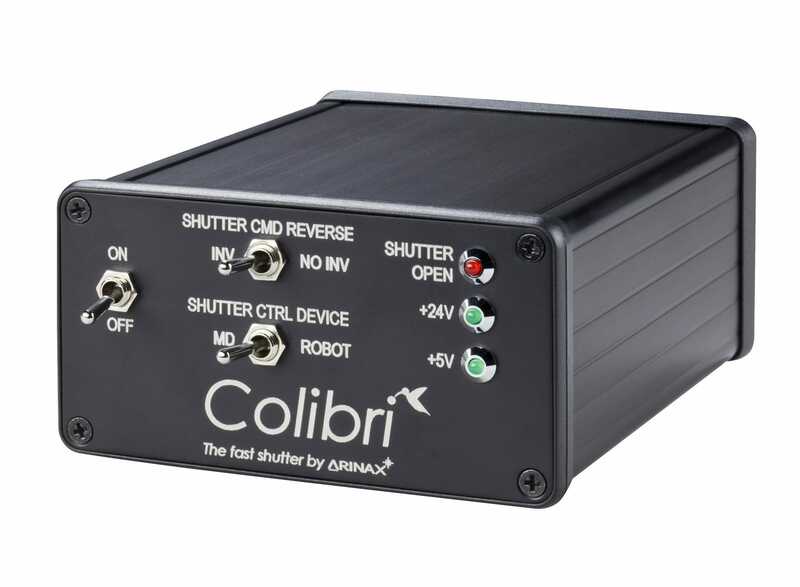 The Colibri X-ray shutter has a fast rising time of 1 ms with a low jitter (0.4 ms peak-to-peak). 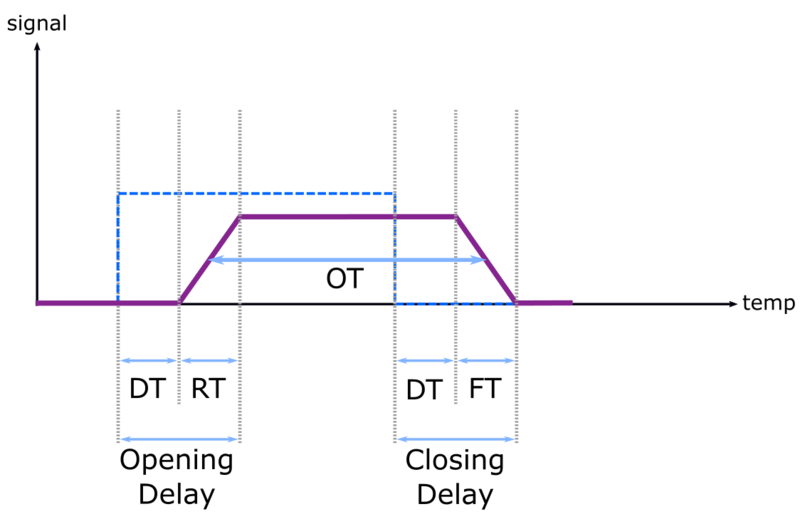 The minimum Opening Time (OT) is 6ms. The components of the Colibri shutter unit offer a long lifetime of 20 years @ 0.1 Hz, and during operation the maximum temperature rise is limited to +5° @ 10 Hz. The Colibri features a very slim housing of only 15 mm width along the beam path. 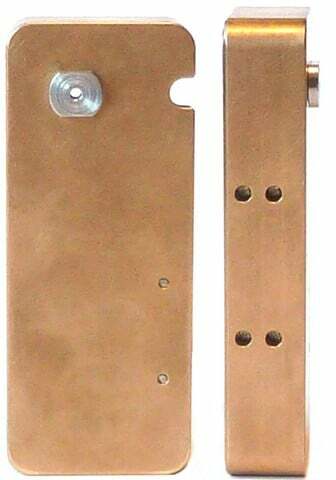 Thanks to this slim design the Colibri shutter unit can be easily integrated in various end-station environments. 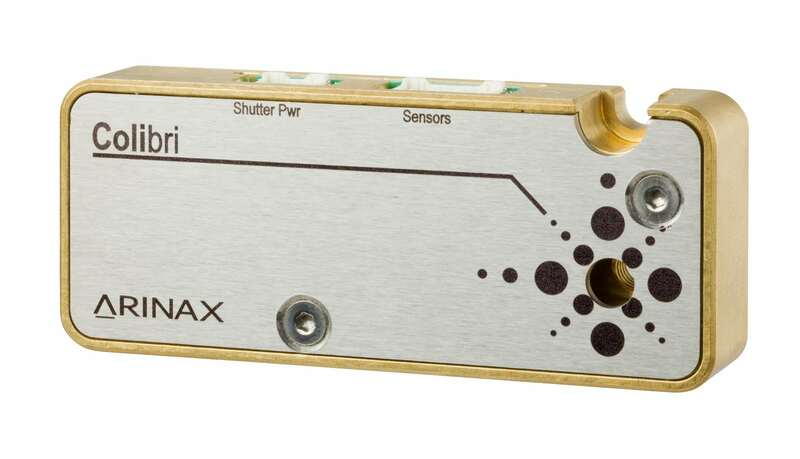 For example, on Arinax’ MD2-S X-ray diffractometer the Colibri shutter unit is inserted up-stream the On-Axis Video microscope. In case of power failure, Colibri automatically falls in safety position: the shutter blocks the X-ray beam, protecting the sample from radiation damage. The Colibri X-ray shutter is designed to be remotely controlled by Arinax diffractometers, such as the MD2-S and MD3 microdiffractometers. Remote control is also possible with other diffractometers or via a sample changer robot. In addition, the Colibri continuously transfers an opening status feedback, for example to a diffractometer or to a sample changer robot.